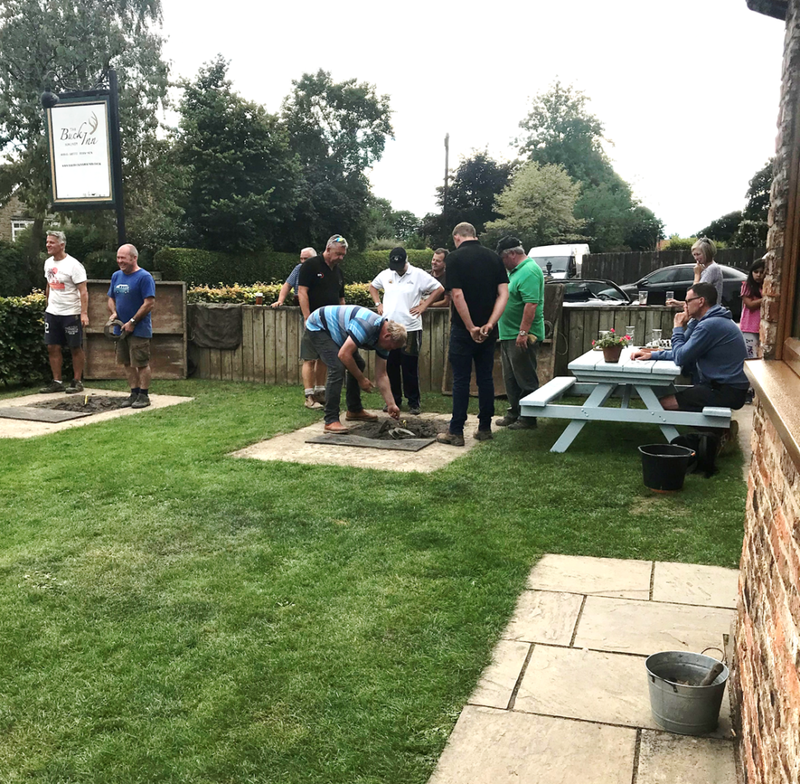 Since 2004, RPS has sponsored the annual Open Quoits Day at The Buck Inn, Maunby. This year’s event took place on Sunday 2nd September and what a great turn out it was. Several willing quoits players entered the open day registration ready to battle it out in the clay pits. 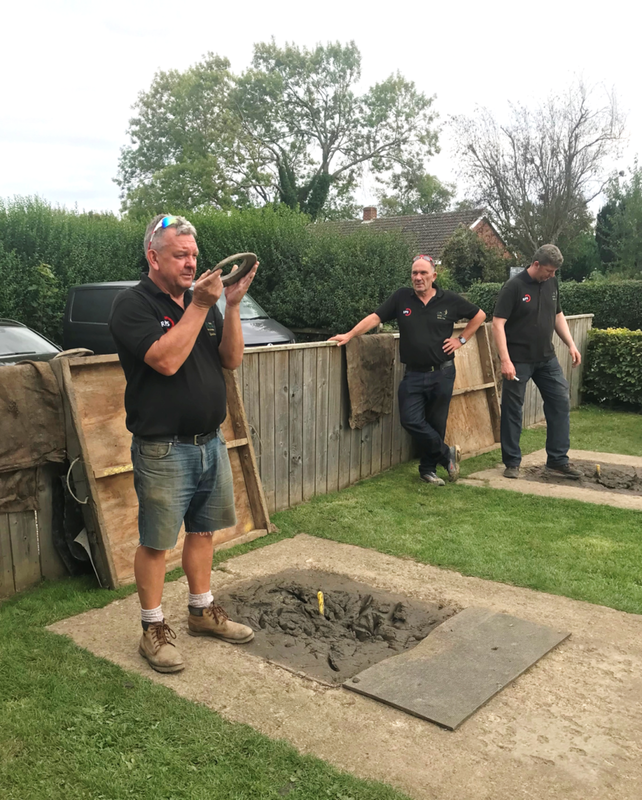 There were some ringers thrown as well as a fair few ‘pots’, ‘half-hills’ and ‘Frenchmans’ (click here for more quoiting terms!!). As ever, the singles game winner received the RPS Maunby Quoits cup as well as first place prize money. RPS MD, Gary Hudson, presented the cup and prize money to Martin Stubbs. Martin duly returned his cash winnings back to Gary to add to his donation pot for Oscar’s Paediatric Brain Tumour Charity and his Kilimanjaro adventure. Visit our Youtube page to view the presentation. The doubles knockout was won by Martin Stubbs and Mary Hudson (no relation to Gary!). The game saw them battle it out against Alan Reed and John Sleighthome and ended with a 21 – 7 victory. The last few years of RPS sponsoring an open day are definitely not the first. 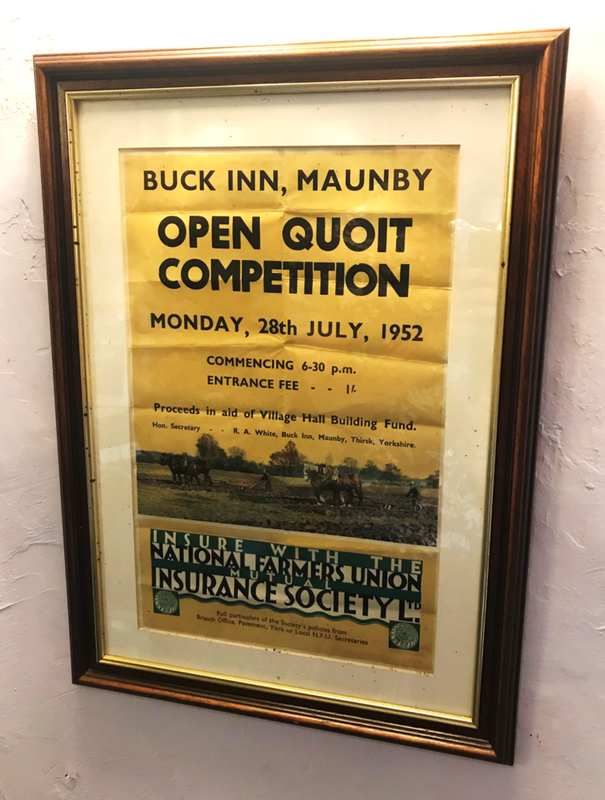 A poster in the Buck Inn shows an Open Quoits day in July 1952, although RPS wasn’t around then to sponsor the event! A great day was had by all, and it ended with two very large ‘Good Luck’ cakes presented to Gary to wish him all the best for his African adventure.